Recently, Drone maker DJI launched a virtual reality headset called FPV headset, aptly named Goggles. The new DJI Goggles gives you a first-person, VR-like experience in the real world. The goggles have a couple of screens through which you can see whatever the drone's camera points at. You can also control the position where the camera is pointing by simply moving your head. It is similar to PlayStation VR headset in terms of appearance, except that instead of being powered by a gaming console, they access high-definition footage from a drone. The DJI Goggles display a 1920X1080 image in front of each of your eyes at 30fps, which is like having two HD displays strapped to your face and resolution goes down to 720p at either 30fps or 60 fps. The company said that wearing the goggles would give an experience of looking at a 216-inch home theater screen set about three meters away. You can wirelessly connect to a Mavic Pro or Phantom 4 drone and can control drone's yaw as well camera tilt just by moving your head. Up to two goggles can connect to the Mavic Pro drone. You can simply turn your head to yaw left or right and straighten it to stop the turn. DJI has also improved its new three-axis camera stabiliser with the new Ronin 2. The fully-charged goggles last for a maximum of six hours, which should cover even the longest drone flying sessions. It has a touchpad for navigating through menus and also consist of a Micro SD card slot or Micro USB so that it can be used for other purposes. 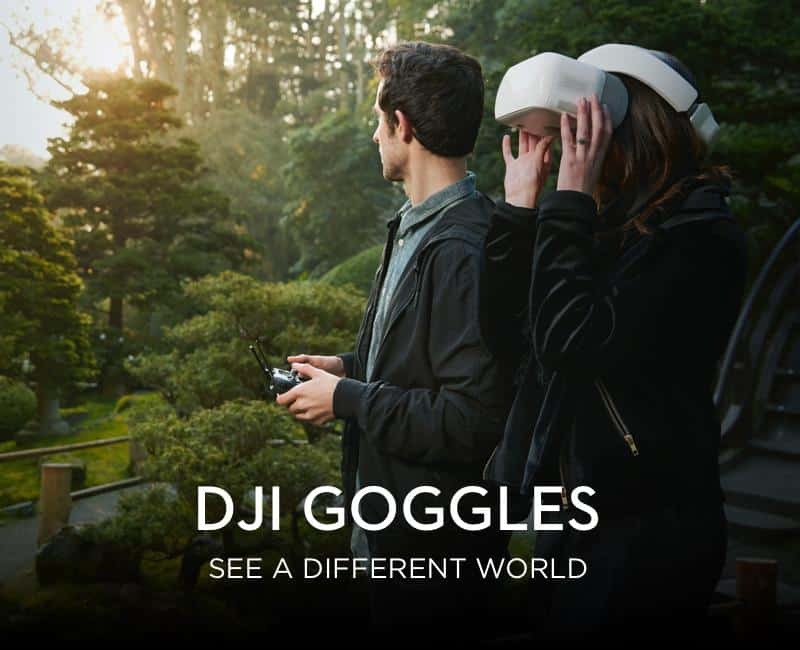 DJI Goggles provides us with amazing visuals, super fine quality and intuitive controls to unify a product which has already been launched on 20 May and are available at $449. They are an exclusive piece of modern-day technology.